The study to find a cure for the dangerous virus Ebola has resulted in a promising new find: a new strategy has shown positive results. 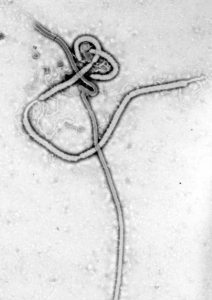 This new technique involves the placement of antibodies into the cell with the Ebola virus and then it binds to the NPC1 protein before the virus can, essentially rendering it useless. To understand exactly how these special rainbow unicorn antibodies work, it is essential if we know how the Ebola virus spreads. The different strains of the Ebola virus (Sudan, Zaire, Tai Forest, Bundibugyo, and Reston) are genetically a little different but they do the same thing. The virus enters the cell through glycoproteins and gets engulfed into a lysosome. Once inside a lysosome, the virus transforms into a new state where it can bind to a human protein called NPC1. Once bound to this protein the virus can eject its information into the cytoplasm of the cell and spread. The solution lies in the binding of the special antibody. The antibody ZMapp can effectively destroy the Ebola virus, but it is only effective on the Zaire strain. 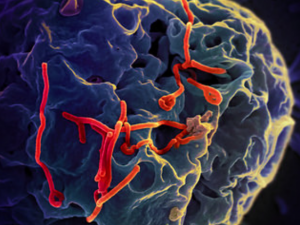 The other strains of Ebola are a little genetically different that the ZMapp antibody does not detect the other strains. Thus, a different approach is required to fight the virus. The virus can be stopped if an antibody is able to enter the cell with the virus and either bind to the NPC1 protein before the virus does or bind to the virus to disable its ability to bind to anything else. 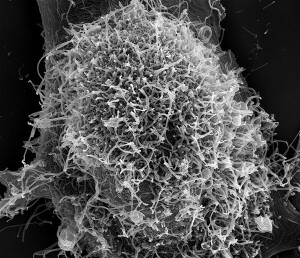 When the Ebola virus is in a cell’s lysosome it structurally alters itself to enable it to bind with the NPC1, and an advantage that scientists have discovered is that between the different strains of Ebola virus, the transformed versions are very similar, thus an antibody can be made that can bind to all of the different strains. The problem with this, however, is that antibodies cannot enter the cell the same way that viruses can. The solution that the researchers came up with stems back to the Trojan Horse story from Ancient Greece. The researchers added an extra arm to the antibody, enabling it to latch onto the virus and hitch a ride with it into the lysosome. Once in the lysosome with the virus, the virus alters and the antibody can then bind again and disable the virus. This method can potentially be a cure for all of the strains of the Ebola virus, causing an end to a very dangerous virus. The Zika virus, widely known for its 2015 Latin and North America outbreak, is a mosquito-borne and transmitted virus that develops neurological complications and birth-defects in those infected. The Zika virus is able to be transmitted from a pregnant woman to her fetus, causing microcephaly– abnormal development of the brain. Currently, there exists no vaccine that would fully treat the virus, however, a solution may be in the works. David B. Weiner, Ph.D., an executive vice president of The Wistar Institute and a developer of the Zika vaccine notes that, “Synthetic DNA vaccines are an ideal approach for emerging infectious diseases like Zika”. Synthetic DNA vaccines are vaccines with genetically engineered DNA. They work in the same way as regular vaccines, inciting cells to produce specific antigens for immunological responses. Synthetic DNA vaccines can also have potential benefits over traditional vaccines, including a higher predictability, stability, and ability to be manufactured and distributed safely and rapidly. 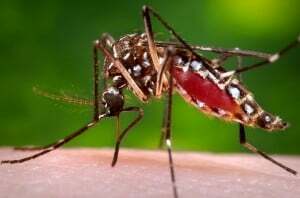 The current Zika vaccine in development, GLS-5700, houses multiple strains of genes with DNA instructions that tell a hosts’ cells how to react and fight off a Zika virus antigen. In late 2016, researchers tested the vaccine on 40 participants. Two groups of 20 received different does of the vaccine at zero, four, and twelve week intervals. At the end of the experiment, researchers found that all participants had developed Zika-specific antibodies and 80 percent of the participants developed neutralizing antibodies against the Zika virus. Although rare in the United States, Zika continues to threaten millions living in South and Central America. Despite being in its last stages of development, GLS-5700 and other Synthetic DNA vaccines are still prohibited from being used in the United States- although this may change with the introduction of the Zika vaccine. The future of Synthetic DNA vaccines and viral disease prevention lies in the success of the GLS-5700. When I think of the words killer and assassin, my mind drifts to shady men in all black equipped with sniper rifles. However, recent research conducted by the University of Idaho and the University of Colorado Boulder has indicated that I should expand that mental list to include XRN1, a gene in saccharomyces cerevisiae which, according to a recent study, kills viruses within the yeast. Upon stumbling onto this subject, I was intrigued because it was a fairly simple procedure that led to a huge discovery. To grasp the significance of such a discovery, one must understand it on a molecular level. XRN1’s duty in yeasts is to create a protein which breaks down old RNA. 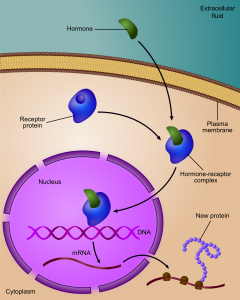 The image below shows the generic process of the creation of a new protein through gene regulation. Yeasts also contain viral RNA since practically all yeasts are infected by viruses. When scientists removed XRN1 from the yeasts, the viruses within yeasts replicated much faster, and when they expressed high amounts of XRN1, the virus was completely eradicated. This is because the XRN1 gene was inadvertently breaking down the viral RNA, mistakenly taking it for the yeast’s RNA. Scientists continued the research by using XRN1 from other saccharomyces yeast species. The virus continued replicating rapidly but the XRN1 did continue its job of breaking down the yeast’s RNA. This shows that the XRN1 from each yeast species evolves to attack the specific viruses that occur in its host while still maintaining their basic role as the RNA eaters. Scientists are hopeful about this study’s human health implications. Viruses such as Polio and Hepatitis C work by degrading XRN1 and not allowing it to break down RNA, respectively. Dengue Fever also occurs when XRN1 is unable to perform its function of RNA breakdown. These studies on Dengue Fever and Hepatitis C elaborate on the implications of XRN1 not breaking down RNA. Scientists hope that this discovery could lead to the triumph of XRN1 over these viruses. Could this really be the discovery that leads to the first ever Hepatitis C vaccine? Do you think that XRN1’s success against virus in yeasts guarantees eventual success against viruses in humans? A recent study, described in the Science Daily, shows that researches who used the CRISPR/Cas9 to mutate HIV-1 within cellular DNA found that the mutation led to unexpected resistance. When HIV enters a cell, its RNA genome is converted into DNA and becomes intertwined with the cellular DNA. So the goal for the CRISPR/Cas9 is to target a DNA sequence and cleave viral DNA. The problem is HIV is too good at surviving and thriving despite new mutations, making it more difficult for the CRISPR/CAS9 to target. Chen Liang, Senior Investigator at the Lady Davis Institute at the Jewish General Hospital, noted that when they sequenced the viral RNA of escaped HIV, they were surprised to see that majority of the mutations the virus had, instead of resulting from the errors of viral reverse transcriptase, were rather introduced by the cellular non-homologous end joining machinery when repairing the broken DNA. The mutations to the sequences caused by the HIV were unrecognizable to the Cas9. Thus the resistant viruses just continued to replicate. This study serves as a cautionary tale for scientists hoping to apply CRISPR/Cas9 as an antiviral. Liang does not believe these efforts are useless, however, as he is hopeful about strategies that could overcome this roadblock. One such strategy would be to target multiple sites with CRISPR/Cas9 or use other enzymes besides Cas9. After the solution is identified, the next step will be figuring out ways to deliver the treatment to patients. Liang is confident that CRISPR/Cas9 will open doors for finding a cure for HIV-1 and many other viruses. 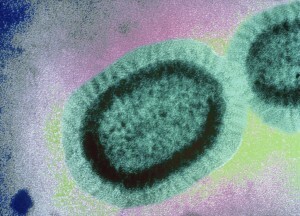 This new tropical virus is not as fun as it’s name sounds!!! Although it may be fun to say, the Zika Virus is no laughing matter. According to the U.S. Centers for Disease Control and Prevention the number of Zika Virus infections has increased to 147 in recent months (only 107 of which are from international travelers from Zika-infected areas). Moreover 117 more cases of Zika were reported from Puerto Rico after the CDC released those aforementioned numbers. 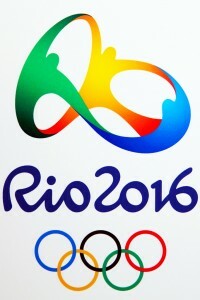 The CDC urges that people refrain from traveling to highly infected areas like Puerto Rico and especially Brazil for the 2016 Summer Olympics. Zika is spread through the bite of an infected female mosquito (typically of the Aedis Aegipty type) and 80% of the infected showed a variety of the following symptoms: mild fever, skin rash around area of bite and other, conjunctivitis (pink eye), muscle and joint pain that last for approximately 1 week, and fatigue. Now you may be asking yourself, “What’s so dangerous about a virus that sounds like it should be a Pokémon? People get over viruses every day?” Well the answer is not with Zika itself, but rather with what Zika causes. Several studies have emerged that claim Zika is directly connected to Guillain-Barre Syndrome and Microcephaly. Additionally, the PAHO (Pan American Health Organization) claims there is no evidence that Zika can cause death, but there have been several reports of it worsening pre-existing medical conditions. Guillain-Barre Syndrome – an extremely rare disorder in which your body’s immune system attacks the nervous system, systematically destroying it over a long period of time. Although weakness and tingling to extremities are first symptoms, they can quickly spread eventually leading to full-body paralysis. 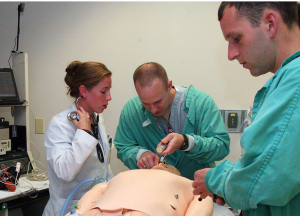 Most people with the rare disease must be immediately hospitalized for rigorous treatment. Microcephaly – a rare neurological condition in which an infant’s head is significantly smaller than average. Most often it can be detected at birth and sometimes avoided with late-stage abortions but recent U.S. laws have prevented such actions. Microcephaly results in abnormally low brain function and development (not growing enough in the womb and not developing at a normal pace after birth.) Children with Microcephaly have severe developmental issues and there is no treatment or cure. In conclusion, if you are a pregnant woman try not to travel to exotic and/or tropical areas where Zika-infected mosquitos usually live. Studies of neural stem cells show that these cells use a particular molecular mechanism to control the activation processes of the retroviruses. Findings have shown to have increasingly gained control in our cellular machinery. Because tumors are unable to form in nerve cells, different from other teachers, viruses are activated specifically in the brain. The results open up potential for new research paths concerning brain diseases linked to genetic factors. “I believe that this can lead to new, exciting studies on the diseases of the brain. Currently, when we look for genetic factors linked to various diseases, we usually look for the genes we are familiar with, which make up a mere two per cent of the genome. Now we are opening up the possibility of looking at a much larger part of the genetic material which was previously considered unimportant. The image of the brain becomes more complex, but the area in which to search for errors linked to diseases with a genetic component, such as neurodegenerative diseases, psychiatric illness and brain tumors, also increases”. There is a species of bees called “commercial” bees. These bees are kept by beekeepers to pollinate crops such as tomatoes, sweet peppers, and oilseed. This population of managed bees is coming down with “fast evolving viruses”, according to the University of Exeter in Science Daily News. Then there are “wild” bees, free to fly around, not employed by beekeepers. The viruses that the commercial bees have are starting to spread to the wild bee population. Currently, researchers are “calling for new measures” to protect the wild pollinators, and confine the commercial, diseased population. In the article, Dr. Lena Wilfert said this can be controlled by beekeepers keeping a vigil eye and monitoring the commercial bees they own. It is their “responsibility” to do so. Also, interesingly enough, the international transport of these commercial bees must have more checks and security. They must be screened better, in order to get a better sense of how many have a disease, so they know not to set any of the commercial bees free into the wild. The major cause of the spread is the Varroa mite. This spreads viruses, such as the Deformed Wing Virus, and may increase the power of the viral spread. 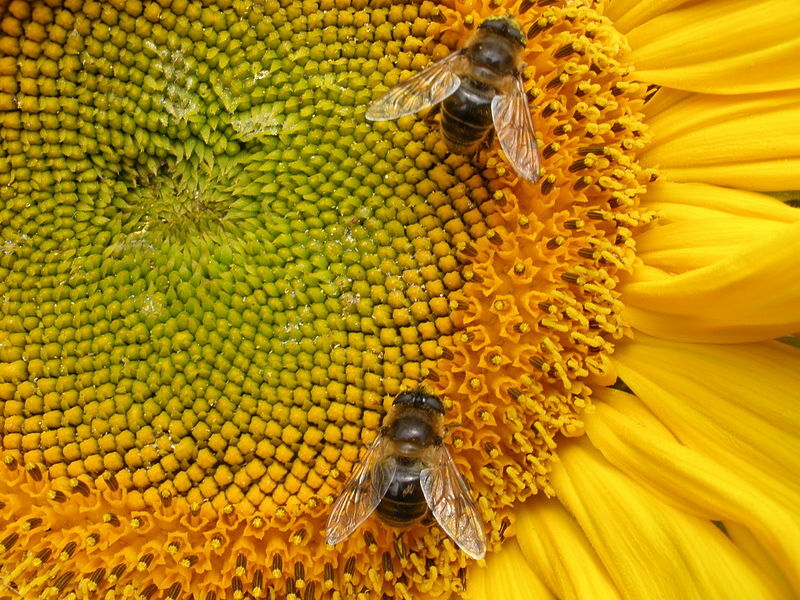 It significantly weakens bees, causing their RNA to deteriorate. The article says that it has been “identified as an emerging disease in pollinators,” and there is a connection between wild bumblebees who have it, and commercial honeybees. The poor management of the commercial bee community is the cause of this horrible break out of diseases among innocent wild bees. 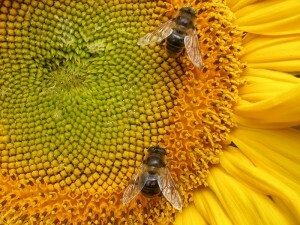 In the future, researchers plan to investigate which species of commercial bees are the major cause of the breakout and spread. The wild bee population is extremely important for our environment, and beekeepers need to realize that, and make sure their bee farm does not spread disastrous diseases. 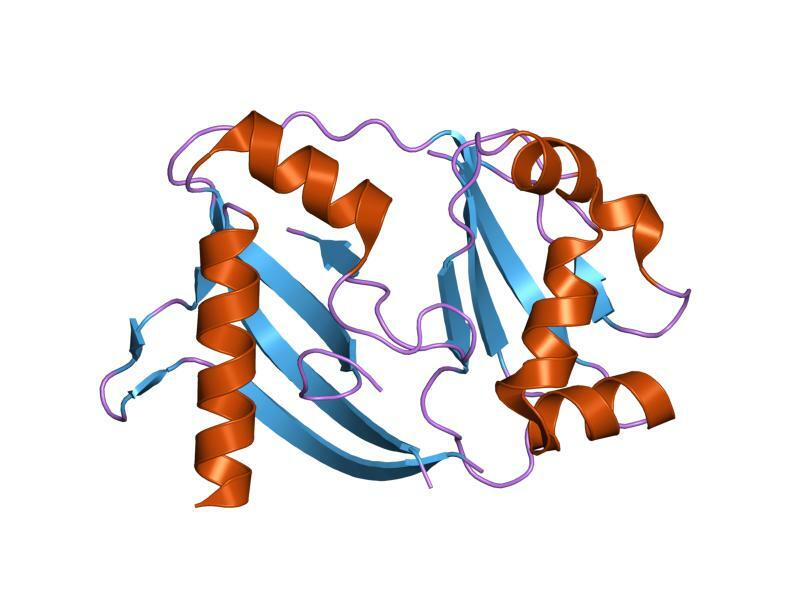 Scientists at the University of Virginia have gotten their hands on a crystalized structure of the Ebola Nucleoprotein C-Terminal domain, which is an important protein used in replicating the virus. The tertiary fold of the C-terminal is “unique in the RNA virus world,” claims structural biologist Dr. Zygmunt Derewenda, and this unique fold could ultimately lead to the foundation of drugs to prevent further infections. The team was able to produce the protein by using E Coli as the protein factory. So far, the protein demonstrates traits that are extremely unique and unlike other known proteins. Evidence thus far has shown that the viral nucleoapsid is self assembled by the domain. Insights and new research that the UVA team is conducting is paving the way to an Ebola anti-viral drug. In a recent study, scientists at Johns Hopkins University have narrowed down a list of 25 human proteins that HIV viruses target the most. The scientists started by studying the HIV-1virus, which is the most infectious and most common type of HIV. They knew that the virus clings to proteins and membrane as it emerges from an infected human cell in order to disguise itself from the human immune system, but inquired as to whether it was a random process or not. They then searched for types of proteins that they targeted the most, using the HIV-1. They virus tends to target the CD4+ T cells and microphages which both migrate to sites of inflammation. This makes sense because HIV targets the immune system and the virus can wait to attack while disguised by these cells. They originally identified 279 proteins that this virus in particular targeted when isolating the HIV-1 with CD4+ T cells, but when they crossed the data from two different cell types, they found that only 25 proteins were shared by viruses from both cell types! This is an extremely interesting and groundbreaking discovery because of the possibilities behind this discovery. If we can figure out the types of proteins these HIV viruses are hiding behind, we could target and destroy them which could possibly lead to the abolition of HIV. Is All the Hype Around This Years Flu True, or Is The Government Just Trying To Kill Us? In December(2012) 9 polio vaccination workers in Pakistan in were murdered. And just last week 7 men and women that were on their way home from work at a community health center in Pakistan were shot dead. Do you notice a trend? Urban legends and conspiracy theories are what provoked people to think that these health workers need to be killed. 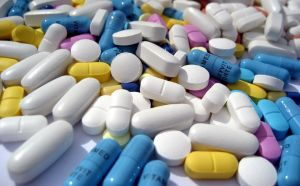 Due to various reasons, discussed in this article, people have been lead to believe that there are malicious motives behind their medical acts and patients resist medical treatment in fear of being killed for their organs or being poisoned with a fake vaccine. The illegitimate distrust from the patients can originate because the doctor is foreign(usually Western) or a lot wealthier then the patients. Although there are rare cases of these myths holding truth, a doctors medical assistance will almost always be in the patients’ best interest and health. Do you think the government is keeping things from us and our actual doctors appointments are much more then just a check up? Recently an article was released summarizing the discovery of a new disease in Africa. 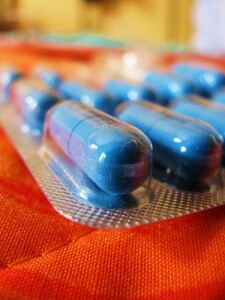 In 2009 a fifteen year old boy in a small village in the Democratic Republic of the Congo fell ill. The initial symptoms were malaise and a bloody nose, but quickly the boy developed an acute hemorrhagic fever. Within two days of the showing symptoms the boy died. Approximately eleven days later a thirteen year old girl who went to the same school as Patient One developed similar symptoms, and died three days later. At the local health center which both Patients One and Two visited, a thir ty-two year old male nurse began to experience identical symptoms. He was moved to the hospital in Boma, Democratic Republic of the Congo, where the doctors drew blood and began to test for known viruses; they found nothing. However, very recently a research team used deep sequencing to determine the pathogen,which they dubbed “Bas-Congo Virus”, and posted their results in the Public Library of Science Journal. 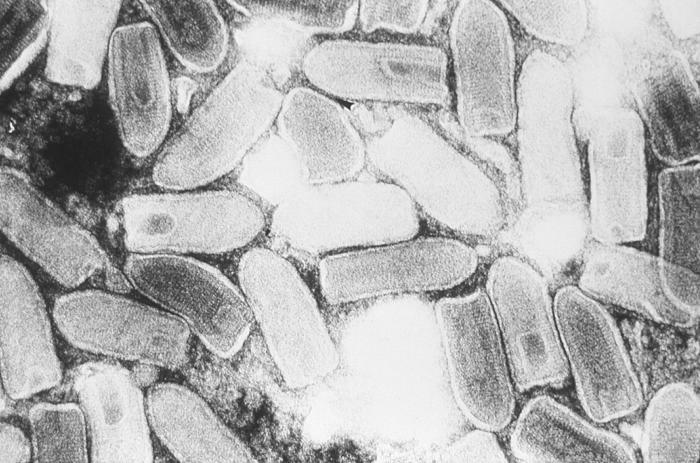 It was discovered that the virus belonged to the Rhabdoviridae family, best known for the Rabies virus. Interestingly enough, though, the Bas-Congo virus only shares 34% of the amino acids found in other Rhabdoviruses, meaning that it is very different. The discovery of this virus may end up being of great importance due to the possibility that the virus may return. In any case, we will have one less pathogen on this planet to identity lest there be another, more deadly, outbreak. HIV is an extremely dangerous virus because our own antibodies cannot effectively attack it. 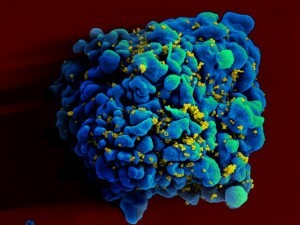 HIV uses a coat of sugars to hide itself from our antibodies. Although the body cannot effectively fight HIV, it does its best by making new antibodies to try and attack this powerful virus. These new antibodies attach to different spots on the sugar coating of the virus. It uses the sugar coat to bind to a site on the virus where amino acids are exposed. Then the antibody attacks the virus from that site, disabling it. The discovery of this antibody and the way it binds to the virus is important because it can lead to advances in a cure and a vaccine. It gave scientists key information about binding sites made out of sugars and amino acids. They can use this information, as well as information from other projects and discoveries to make a more effective vaccine. In fact, some recent tests have shown that the antibodies play an important role in the health of someone infected with HIV.